This high energy, half-day building creativity and problem solving workshop in Hong Kong is a powerful combination of tools that people learn to use to establish a curious, innovative growth mindset, and also includes workplace tools to implement on-the-job. Participants learn how to establish a positive outcome orientation, keep things in perspective, and then implement new techniques in a collaborative work environment that is experiencing change. Much more than just theoretical concepts, this is a course that provides people with practical tools to use in all aspects of their life. Like the other PPA courses, this course is different from a lot of courses in the same genre, in that it is suitable for people of all ages, and all levels of seniority in any organisation. The 'no-fluff' approach is focussed on practical applications, through activity-based learning throughout the session, ensures that people are engaged, keeps it 'real' and has people walking away with tools and skills that are as powerful as they are simple to implement. 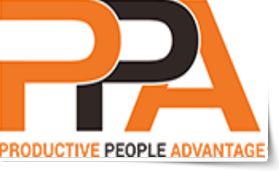 In collaboration with our clients, trainers, participants in Hong Kong and across the globe, and our research & development partners (The OrgDev Institute and Leading Dimensions Consulting), PD Training has developed the Productive People Advantage (PPA) program; designed for the needs of today and to prepare your people and organisation to have a sustainable advantage tomorrow. In this 1/2 day, workshop-style activity, participants are actively engaged in learning a powerful combination of self-management and workplace applications. The approach we take to situations depends on our mindset and perspective, then supported by how we execute/follow through. The combination of activities in this course provides a unique and powerful blend of self-management and workplace application. This is a great foundation for developing team that are more collaborative, take a curious (there must be a way) approach to challenges and work together to develop innovative solutions in a constructive supportive way. Highly recommended for teams and organisations that are needing to adapt and grow, and want to do so with a positive approach that finds solutions and moves forward together.